Well, we all knew it was going to happen sooner rather than later, and it just so happens that today is the day the final nail was hammered into the Ask.com search coffin. We saw Diller speak this fall at TC Disrupt, and he was basically saying the same thing then, that Ask.com just wasn’t cutting it against Google, and that it was hard to keep justifying the cost of keeping it going. At its official death today, Ask.com accounted for less than 2% of US search traffic, with Google at 65%. It’s become this huge juggernaut of a company that we really thought we could compete against by innovating. We did a great job of holding our market share but it wasn’t enough to grow the way IAC had hoped we would grow when it bought us. Of course, Ask is just the latest domino to fall to Google – Yahoo recently also abandoned search, handing over its search to Microsoft’s Bing. According to the report, Ask will now focus on its Q&A engine as well as its toolbar business, which is reportedly doing well. 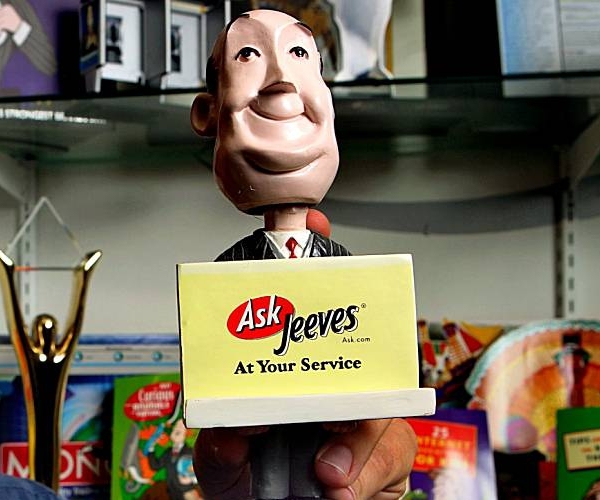 Goodbye Jeeves, we hardly ever visited you.